Led to a special 'reading room' in a maze under the library by a strange old man, he finds himself imprisoned with only a sheep man, who makes excellent donuts, and a girl, who can talk with her hands, for company. His mother will be worrying why he hasn't returned in time for dinner and the old man seems to have an appetite for eating small boys' brains. How will he escape? 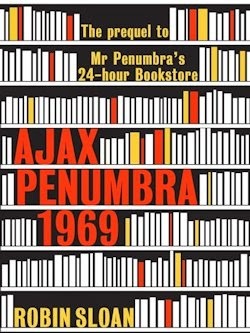 A couple of months ago, a story about the closure of yet another local library caught my eye at the same time as I was searching for a subject for the sixty-some students I teach to tackle—a problem of sorts for them to set about solving. I had in my head an exercise which would require each pupil to suggest a selection of strategies that might make the local library relevant again. Quite quickly we hit a wall, as I recall. It wasn't that the kids didn't grasp the task at hand; if anything, they understood the problem too well. None of them, you see—not a one—had even been to a library, far less used its facilities. In short order I saw that I'd based the week's work on a false premise: that local libraries had ever been relevant to them. 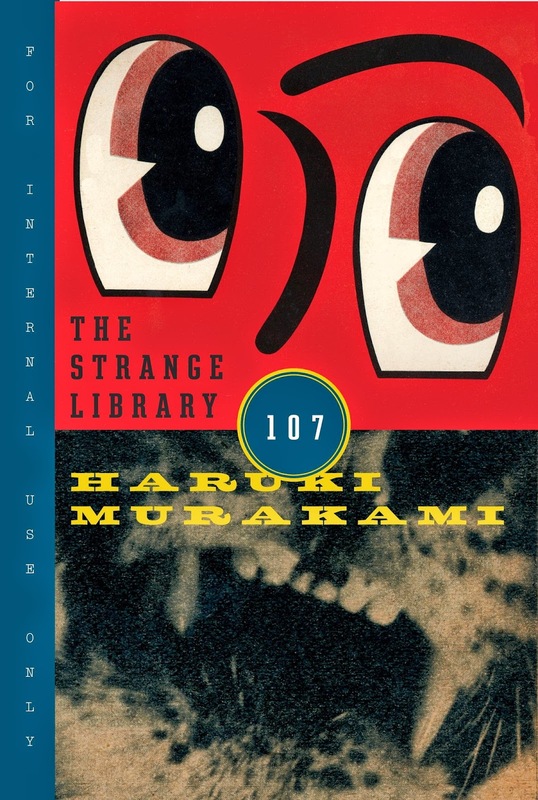 They certainly were to me, once—as they are to the narrator of The Strange Library by Haruki Murakami: a nearly new novelette from the author of Colorless Tsukuru Tazaki and His Years of Pilgrimage. To that end, The Strange Library's nameless narrator is directed to a room in the basement of the building, where "a little old man" with "tiny black spots [dotting] his face like a swarm of flies" (p.6) suggests several suitable books. The thing is, these books can't be borrowed—they have to be read in the reading room—and though the boy is already second-guessing himself, he's so obscenely obedient that he allows this apparent assistant to shepherd him still deeper into the library's lower levels. The corridor forked and forked again, branching off repeatedly, and in every case the old man chose our route without a moment's hesitation, swerving first to the right, then to the left. Sometimes he would open a door and we would enter a completely different corridor. Believe you me, readers: it gets weirder. The old man instructs the boy to commit the aforementioned textbooks to memory, then essentially imprisons him. "One month from now," his jailer explains, "I will personally examine you. If I conclude that you have mastered their contents completely, then I will set you free." (p.21) Failing that, he'll eat the boy's brains. Strange as so many of the elements of The Strange Library are, they're far, I'm afraid, from startling. 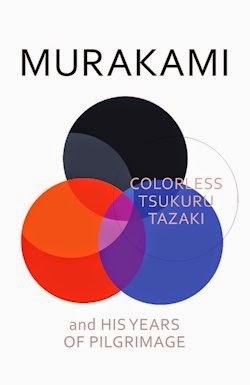 Broken boys, beautiful girls, secret spaces and unfortunate faces are all pretty much par for the course in Murakami's narratives, and when you expect the unexpected, its agents are rendered ineffective. Similarly, the demand for answers that usually pulls a reader through books built on mysteries is diminished when you know none will be forthcoming—and none are, naturally. The Strange Library's characters are correspondingly colourless. They are what they appear to be, until they aren't, but rather than realising these differences through development, change comes suddenly, as if the wind has simply shifted—and with it, the world. This, too, is distancing. 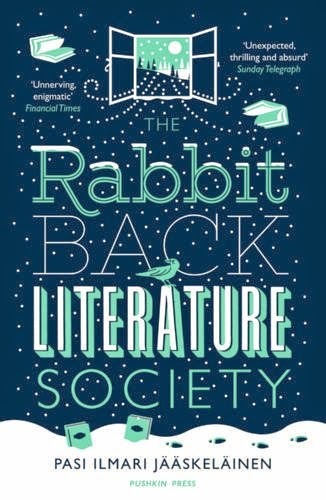 Earlier this year, I was over the moon that Murakami had moved on from the increasingly mundane mode of magical realism that had laid his last books low. 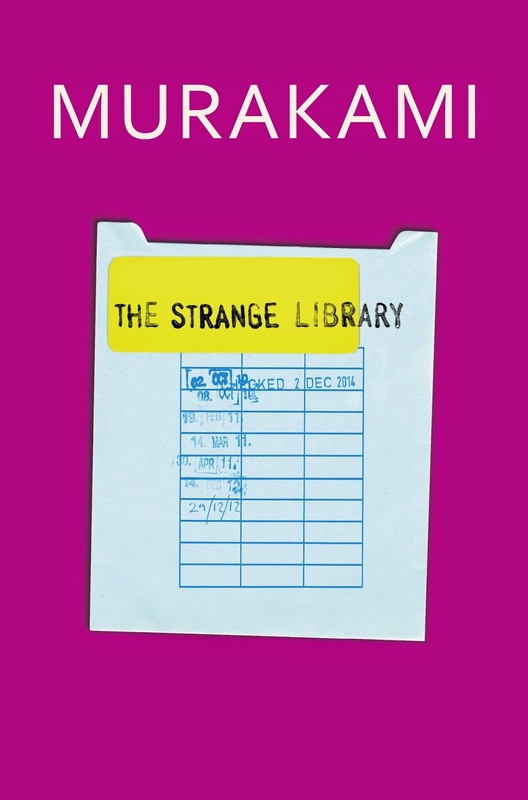 That The Strange Library bears that brand isn't exactly surprising—it's new translation of a six year old story—but it is a little dispiriting. Be that as it may, The Strange Library's tremendous presentation almost makes up for the fiction's failings. Just in time for Christmas, this irresistibly giftable edition, designed by Suzanne Dean, is illustrated with images borrowed from the London Library's archives—a collection that includes everything from cookery books to Birds of the British Islands—making every page a pleasure, and some a surprise of the exact sort the story itself sadly lacks. Sounds like an interesting premise, but not one that I haven't seen done before. Still, it might be an interesting read, since I have a thing for libraries and haven't read any Murakami before. Might be worth a try.